Having retired in 2015, Earle Shettleworth has the distinction of being the longest-serving director of the Maine Historic Preservation Commission. 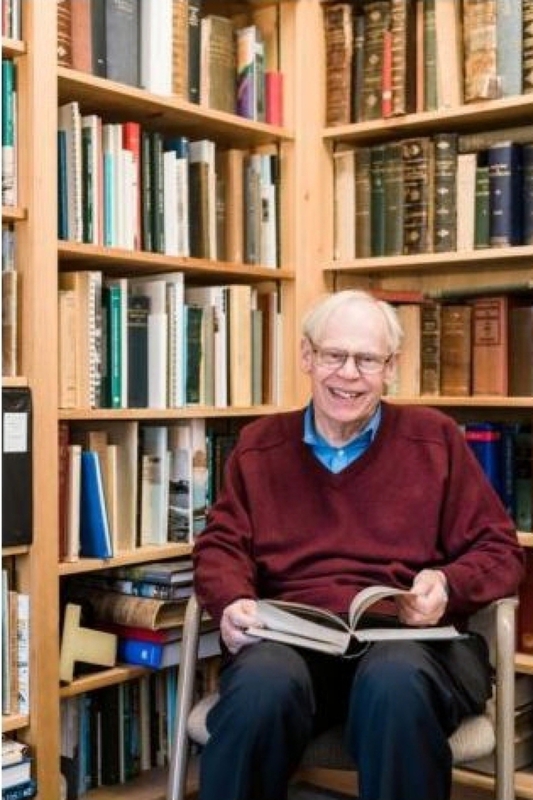 Born in Portland, Maine, in 1948, his first interest in history was piqued by an illustrated history of Britain that his father gave him when he was four. His first antiques shop purchase took place when he was 6 years old, upon a visit to an antiques shop in Bingham, Maine, where he acquired a picture of George Washington for $2 that formed the foundation of a collection of books, ephemera, prints and photographs, the latter of which became a self-proclaimed passion of his, and he acquired daguerreotypes, stereo views, postcards, and mounted photographs, especially as they related to Maine. In what will be a two-part interview that celebrates Maine’s upcoming bicentennial in 2020, Antiques and The Arts Weekly asked Shettleworth to look both backwards and forwards on his contributions to historic preservation in Maine. What sparked your interest in local history? 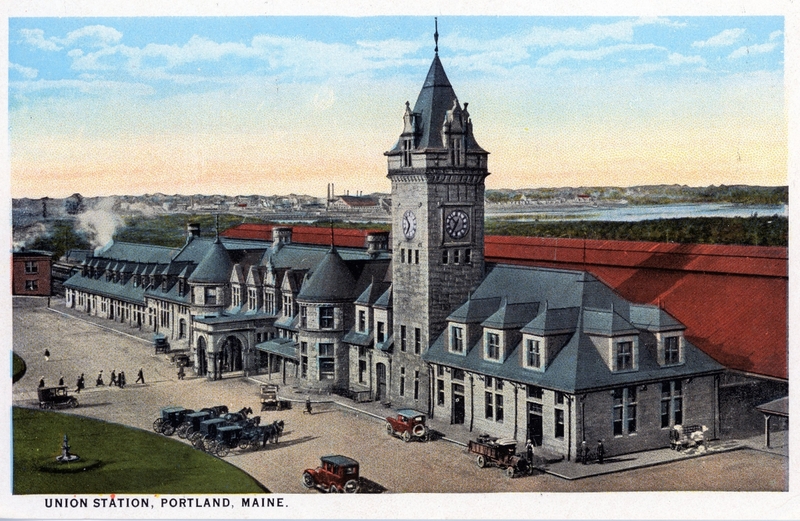 In 1961, Portland’s grand Union Station was demolished as passenger rail service in Maine ended. The loss of this granite chateau-style landmark spurred community leader Edith Sills to form a historic preservation committee that became Greater Portland Landmarks in 1964. The station’s demolition coincided with my growing interest in Portland history and architecture. That interest caught the attention of Deering High School history teacher and Maine historian Elizabeth Ring, who invited me to participate in the Sills Committee even before I entered her classroom as a sophomore in the fall of 1963. That fall Miss Ring assigned me to prepare a slide lecture on Portland architecture that I gave to organizations throughout the city for the balance of my high school years. How did your initial interest grow into a professional occupation? Majoring in art history at Colby College and architectural history at Boston University Graduate School prepared me to become the architectural historian for the Maine Historic Preservation Commission in 1973. In 1976 I was appointed the commission’s director and State Historic Preservation Officer, positions I held until my retirement in October 2015. At that point I was one of the longest serving State Historic Preservation Officers in the country. What was the most rewarding part of your job as commission director? During my nearly 40 years of service as director, the commission nominated approximately 1,600 Maine properties to the National Register of Historic Places and awarded millions of dollars in federal and state grants for the preservation of historic buildings and archaeological sites. Surveys identified many areas rich in historic, architectural and archaeological resources. Circa 1910 postcard of Union Station, Portland, Maine, courtesy of the Maine Historic Preservation Commission. I’m sure you have many memorable moments from your nearly 40-year tenure as state historian. Does one in particular stand out you can tell us about? The commission also created a major archive of Maine images consisting of thousands of stereo views, postcards, photographs, negatives and illustrated publications. The commission continues to be actively engaged in all of these activities under the leadership of Director Kirk F. Mohney. You were appointed State Historian in 2004. What duties does that office entail? The duties of State Historian include serving as a consultant to the governor and the legislature on Maine history, responding to inquiries from the public and lecturing on Maine history. Since 2004 I have been especially active in performing the latter responsibility, speaking throughout the state on such topics as the history of Maine photography, Civil War monuments and the home front in World War I. How do you get audiences to engage with history? At the end of a lecture, I often try to draw out personal connections to Maine’s history. With the recent 150th anniversary of the Civil War and the 100th anniversary of World War I, I asked my audiences to share family connections. There are still people living who knew people who served in World War I, and stories that have come down through generations about the Civil War. We can still tap into that oral history. What would you consider Maine’s most important contribution to the United States? Maine’s heritage, including such tangible elements as architecture, art and artifacts, defines the state as much as its natural environment. It is important for history to be preserved and made accessible, so more people can better understand and appreciate the State of Maine. A knowledge of local, state and national history is essential in defining the truth of who we are, where we have been and where we hope to go. As State Historian, what is your role in the bicentennial? As State Historian, I am now turning my attention, along with many in Maine’s cultural community, toward observing the state’s upcoming bicentennial in 2020. After 35 years of debate, Maine separated from Massachusetts in 1820 to become the nation’s 23rd state, entering the union as a free state in the famed Missouri Compromise. The legislature has created the Maine Bicentennial Commission to initiate and coordinate statewide activities and events. My personal bicentennial projects include mounting an exhibit at the Bowdoin College Museum of Art of Nineteenth Century lithographs of Maine cities and towns and co-authoring a pictorial history of the state. Like Maine’s centennial in 1920, the bicentennial will be a balance between public celebrations and lasting contributions such as exhibits and publications. Editor’s note: see a future issue of Antiques and The Arts Weekly for a Q&A with Jason Libby, who is currently engaged in planning the events surrounding Maine’s 2020 Bicentennial.